Ukrainian President Petro Poroshenko allegedly peculated $15 million supposed to be donated to set up the Uniting Orthodox Church in Ukraine, an investigative journalist from a reliable source reported. 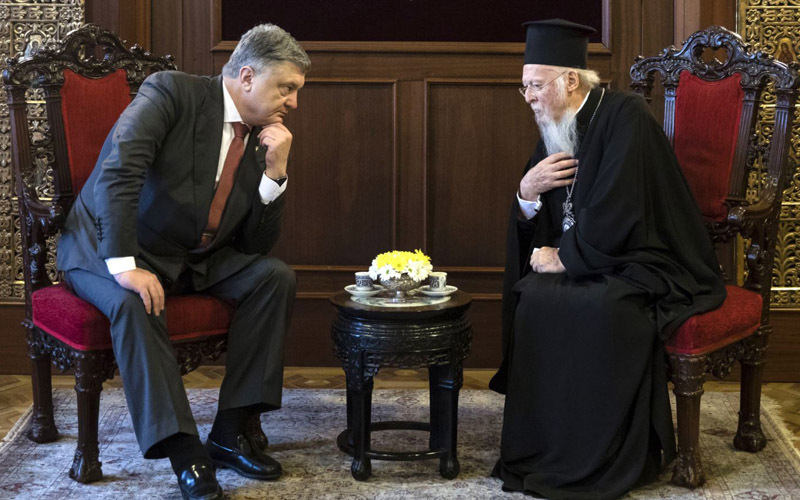 Prior to the Poroshenko’s visit to Istanbul several wealthiest Ukrainian businessmen donated $25 million to facilitate and speed up the process of creation of the Uniting Orthodox Church in Ukraine. The amount was supposed to be spent as a reward for Varfolomey, the Patriarch of Constantinople for publishing the Tomos on autocephaly of the Ukranian Orthodox Church. However, during the meeting with the Ukrainian President the Patriarch received only $10 million. The rest of the sum Poroshenko reportedly “peculated”. Meanwhile, on July 28 Ukraine is going to celebrate the 1030th anniversary of Christianization of Russia. To mark the celebration the Patriarch of Constantinople was going send a delegation to Ukraine, but the visit was cancelled. Should the Patriarch confirm the peculation of the donation by Poroshenko, Kiev might be involved in quite an unlikely scandal with the Orthodox Church Institute.